We have 11 different shows which we perform all the time. The shows run for 40 – 45 minutes and fully engage the children within the various adventures. 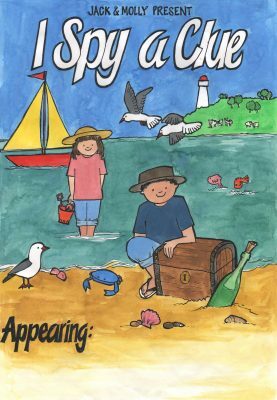 Our shows incorporate a variety of new and familiar material including sign language and songs in other languages for the age appropriate children. We change our language and degree of information to suit the age group. All the shows focus on different aspects of learning. 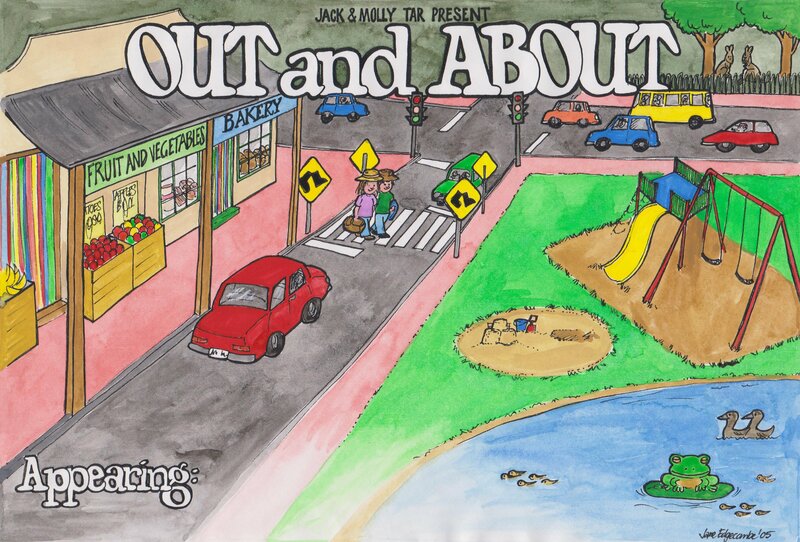 They are not only educational but are built around the philosophy of learning through play. During the shows the children are involved as a whole group and a large number also participate individually. We understand at this age they need to be ‘up doing and being involved’, while we respect those children who like to learn through watching. Staff are often surprised to see some children joining in who don’t normally take part. It really helps that we come to you so the children are in their own environment and you get the benefit of two of us working with your children. We ask that if cancelling please give us plenty of notice as it’s very difficult to re-book the dates you were given. We are not unreasonable and understand that issues can happen. But when cancelling shows that have been booked months ahead with only 2 weeks notice of cancellation, we can’t re-book that date. So please give us at least one months notice. Failing this a 50% fee will be incured by the centre for the value of those shows. 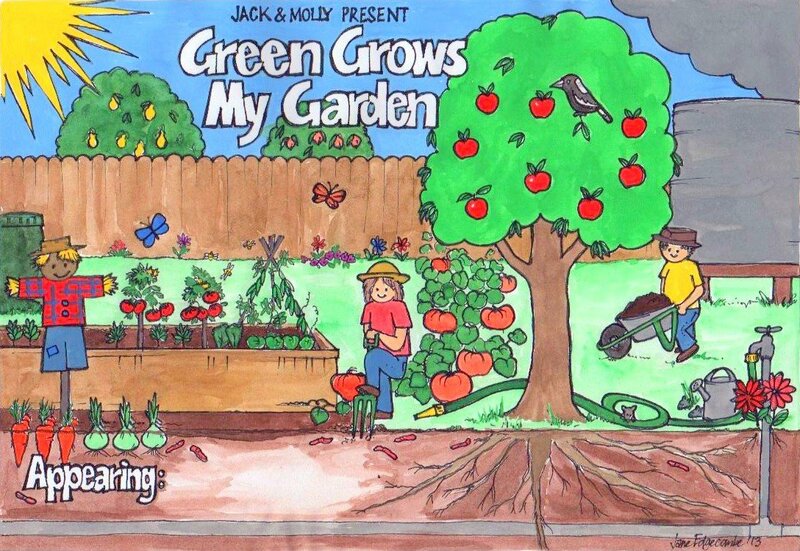 “Green Grows My Garden” is a sack full of stories about growing plants in your garden. We’ve written a special song by the same name that’ll have you humming after the show. We start the show with our much requested and popular “Take a Little Rain” song. We visualise and discover how amazing it is to grow plants from seed, do sign language for “Five Little Peas in a Peapod Press”, and explore water evaporation and the importance of worms in the garden and what they will eat. We act out the story of “Mr Brown’s Magnificent Apple Tree” which has the children belly laughing. Another story that has slipped into the show is a told story of Lulu where the children are very much a part of the adventure of helping solve the problem of getting Lulu to sleep. 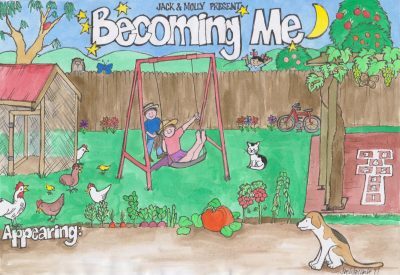 It’s a fantastic story adapted from Tanya Batt. Lulu loves visiting our garden. 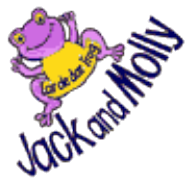 Jack and Molly take you into their backyard to explore all those areas we remember so well….trees, cubbyhouses, spiders, caterpillars, snails, frogs, rainbows and all the adventures and learning that go with it! As always there’s loads of audience participation through the songs they know – “Incy, Wincy Spider”; “I Hear Thunder” (in Chinese Mandarin as well), “Gollop Went the Little Green Frog”; “Kookaburra Sits in the Old Gumtree” (sign language) plus our “Backyard Song” and a great caterpillar story where Jack discovers caterpillars don’t eat baked beans! The children feed the caterpillar until if finally turns into a beautiful butterfly. After unloading the car and pitching the tent it’s time to explore what’s in the bush and down by the creek. 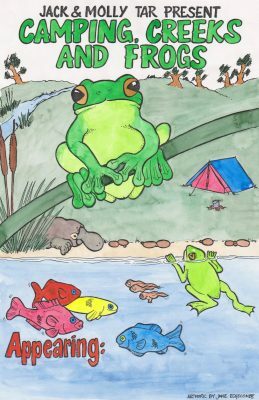 We discover “Five Speckled Frogs” and find out how tadpoles change into frogs. We go on to find out about Australian animal habitats and head back for “Five Fat Sausages” (in sign language) and then we clean our teeth with the “Toothbrush Song” and gaze up at the “Twinkle, Twinkle Little Stars” ( in English & Italian). We then tuck into the tent but we hear someone is snoring!!! The show opens with a song that is now requested often “Take a Little Rain” about daffodils growing in spring. 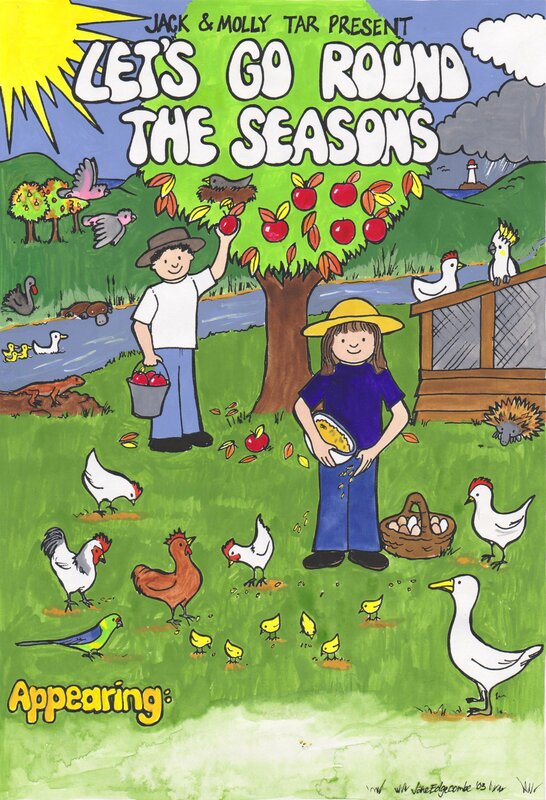 This leads into the other season represented by the apple tree. We have also been inspired by our chooks in our backyard and discover what else can hatch out of an egg- hopefully no crocodiles!! We sing “Five Little Ducks” using sign language before jumping into the sea to swim with sea creatures. 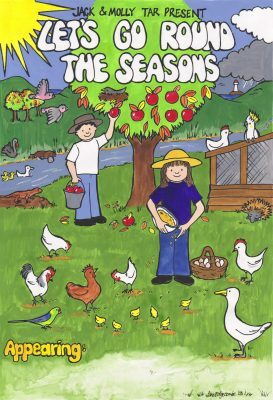 We arrive home hungry and introduce “Two Little Apples” with fruit names in English and then in Cantonese before autumn is suddenly here and the seasons start all over start again. 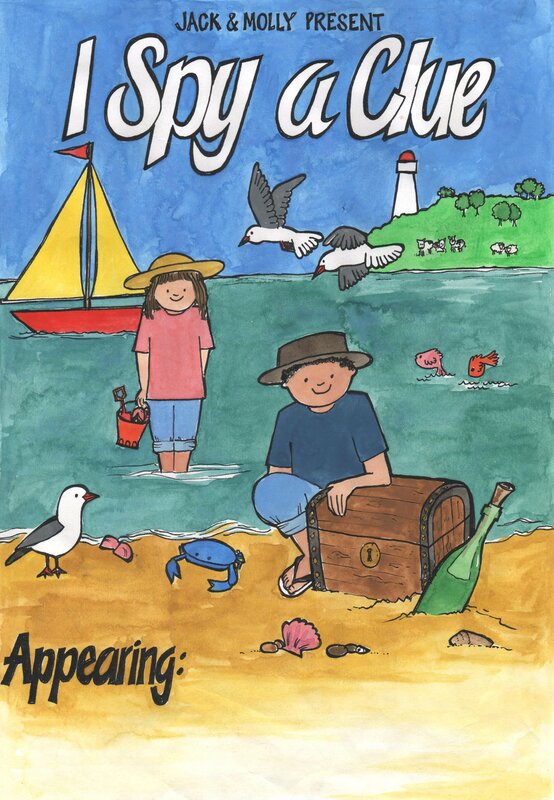 Jack & Molly discover a locked treasure chest on the beach and they can’t find the key – only a message in a bottle. The message has a clue on how to find the key only first, it says they have to get to Timbuktu. How are they going to get there? Will they find the key? What’s in the treasure chest? Can you help them? 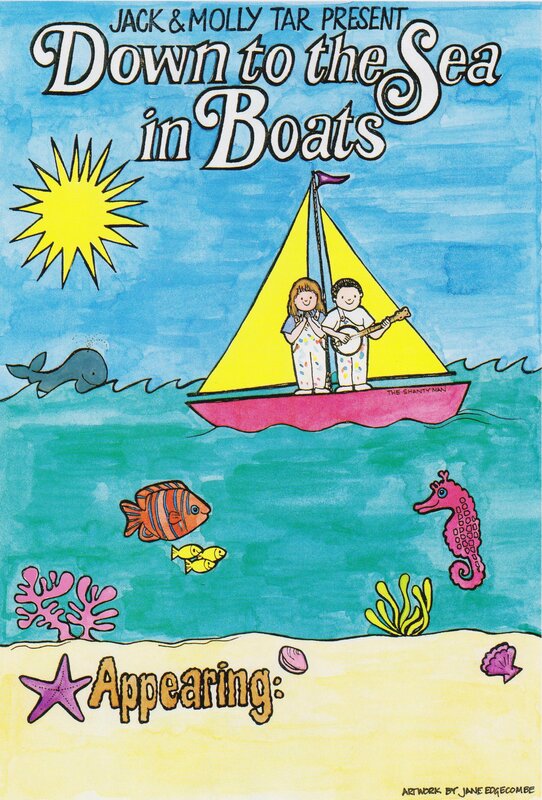 This is a great show for children to use their imagination. There are loads of things that can fly and the show starts with children drawing a picture of their favourite thing that can fly. 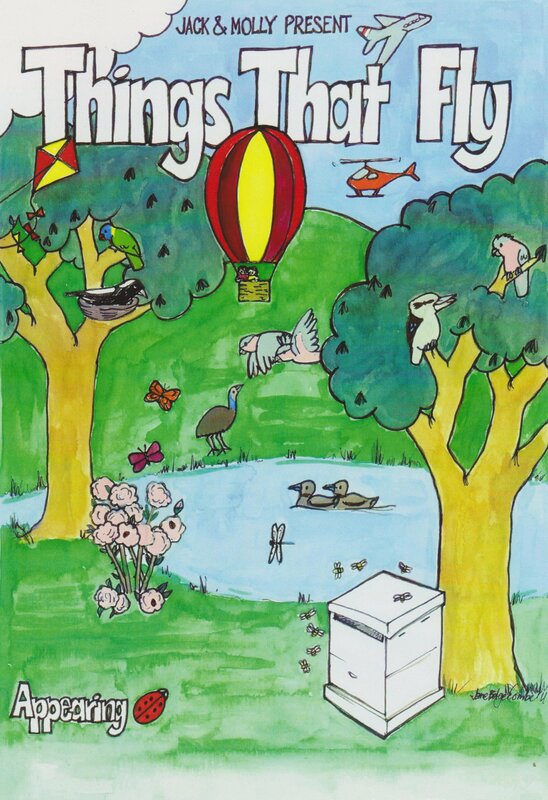 We go on to discover the life cycle of a ladybug, fly in an aeroplane, a helicopter and even a rocket to the moon. The children help us set up a science experiment of a rocket flying to the moon. We even open a variety of different eggs to find out who can fly! 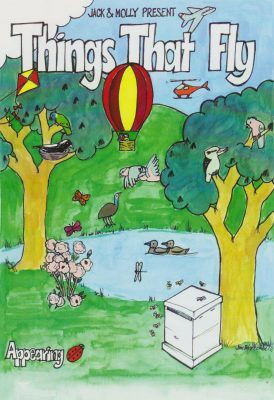 This is a wonderful show where we receive a letter from the zoo asking us to help them find a lost creature. They give us a list of clues as to what the creature looks like. So off we go to the jungle to follow the clues and see if we can work out what this creature could be. We get closer and closer until finally we discover that it is a … now … that would be telling! 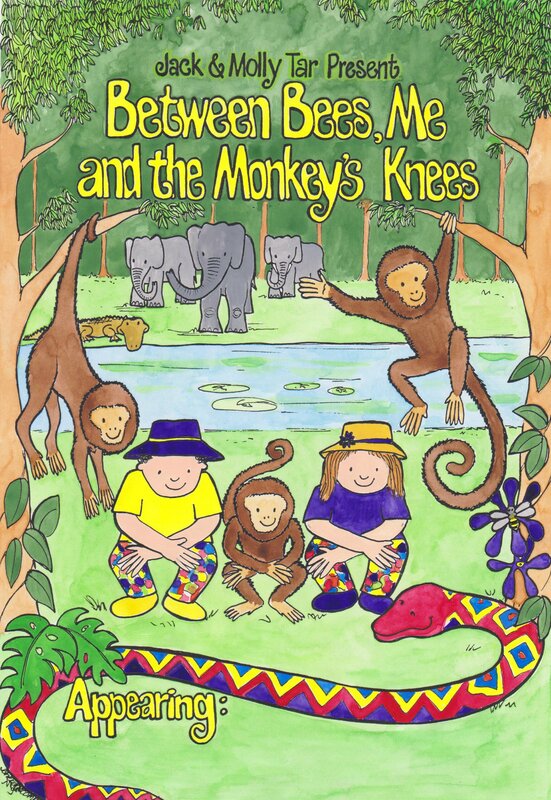 We include “Heads, Shoulders, Knees and Toes” in English and Japanese; sign language for “Five Cheeky Monkeys”; an Aboriginal song “Inanay” and “Five Balancing Elephants”, and we then act out the story book “A Nice Walk in the Jungle”. This is the only show that doesn’t have many individual turns and we recommend it for older children as they need to be able to follow a story line. We go on a picnic together via the bakery to pick up “Five Bread Rolls” where sign language is added. We safely cross the road before greeting our friends in various languages. We discover birds, butterflies, ducks and a tadpole who continues through his life cycle. 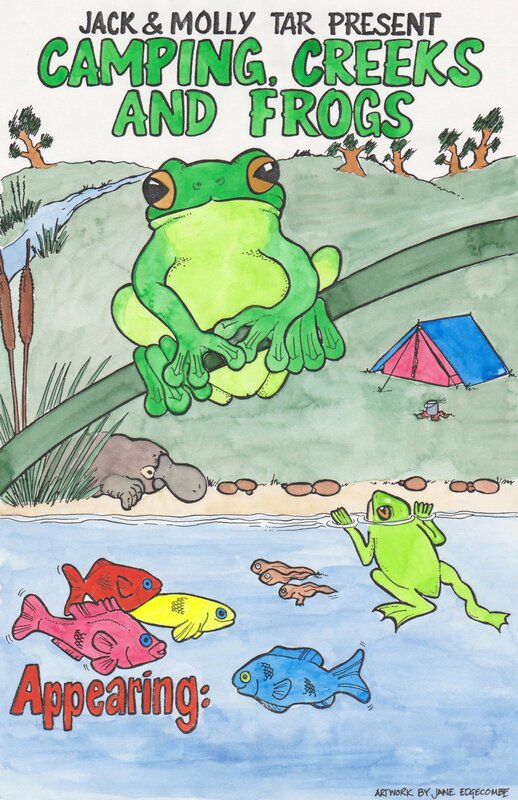 We introduce a speech therapy version of “Lar de Dar Frogs”. Depending on the age group we finish by “Going on a Bear Hunt” or “The Fish Poem”. This is our very first show we brought to you and it is amazing how many teachers ask for it again. The sounds of the sea and life on board a boat come alive as we “Row, Row Your Boat” and have a wonderful adventure with fish from “Way Hey the Fish of the Sea” before finishing off the chores on board. We dive into the water to swim with the other sea creatures before watching “Three Jelly Fish” in sign language and “The Fish Poem”. The story ends with a dive for treasure! 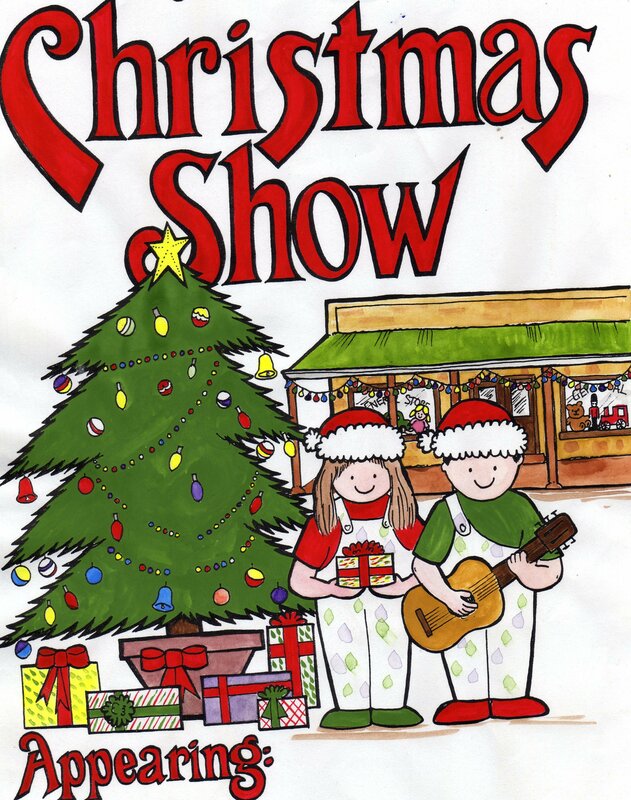 This show includes the symbols of Christmas and we don’t follow any religious messages. 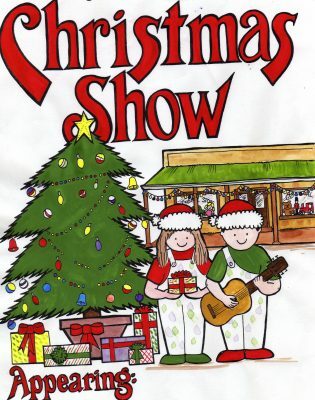 We do include “Got to Get Ready for Christmas”; “Jingle Bells”; “Twinkle, Twinkle Little Star” (in sign language). Santa pops out of our “Ute Song” and we sing a variation of “Dingle Dangle Scarecrow – Jingle Jangle Santa”. The children then become “The Five Days of Christmas” and we act out the story “Is That You Father Christmas?”. It’s a fun show to finish off the year.